About 1500 tonnes of chewing gum finds its way onto the streets in the Netherlands every year. Cleaning it up is a sticky business but an innovative recycling technology pioneered by Gumdrop Ltd is making this effort worthwhile. The global chewing gum market was worth US$ 16.6 billion in 2017, with analysts citing ‘steady’ 2% growth during the past five years. The littering of chewing gum, which takes about 30 years to degrade, costs millions annually to clean up in big cities like Amsterdam and London. It is the second most littered product after cigarettes. Eager to make a change, the city council in Amsterdam collaborated with Gumdrop ‘to transform something dirty into something useful’. 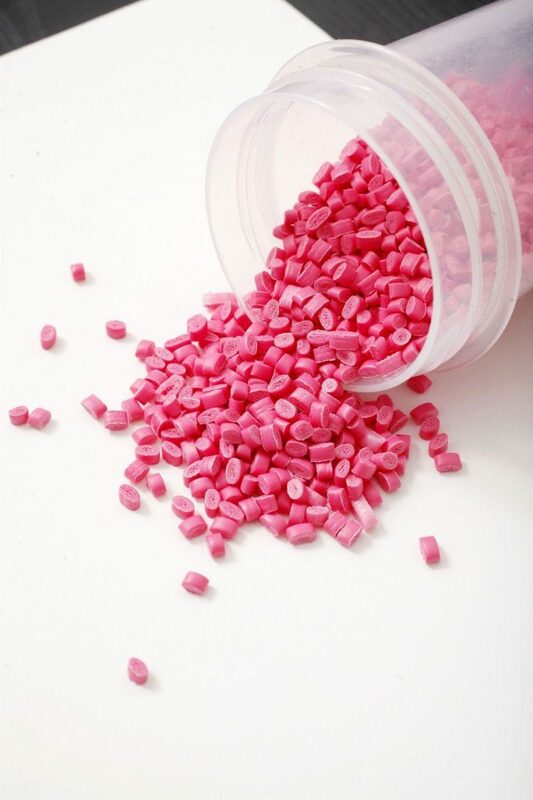 ‘Chewing gum is made fromsynthetic rubber and by breaking it down we were able to make a new type ofrubber,’ explains Anna Bullus, founder of Gumdrop. The closed-loop process is relatively straight forward and yields a patented material called Gum-tec which can be used in a wide variety of new products. This includes wellington boots, frisbees, mobile phone covers, packaging – and now also sneakers. 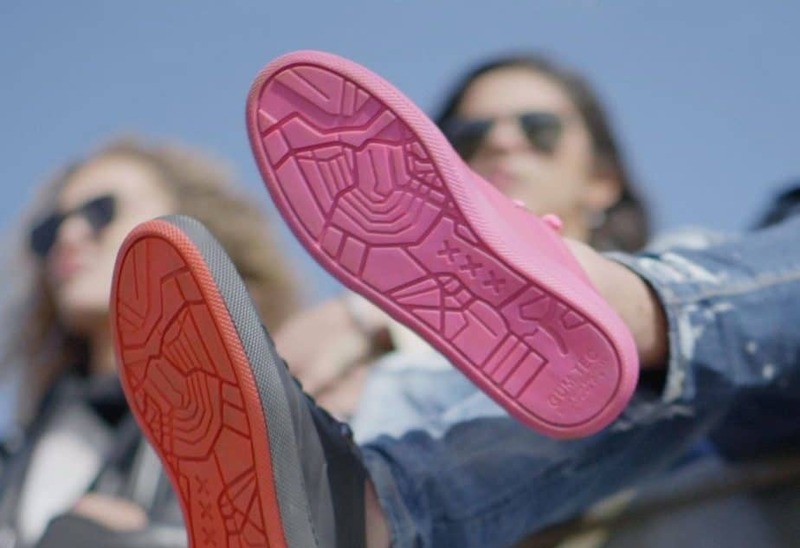 The shoes are eye-catching owing to their bright bubble gum pink colour. For those who prefer a less flashy colour, the sneakers are also available in black (with a red sole). They retail at around EUR 200. Bullus hopes that her trendy product will help get youngsters excited about recycled materials. 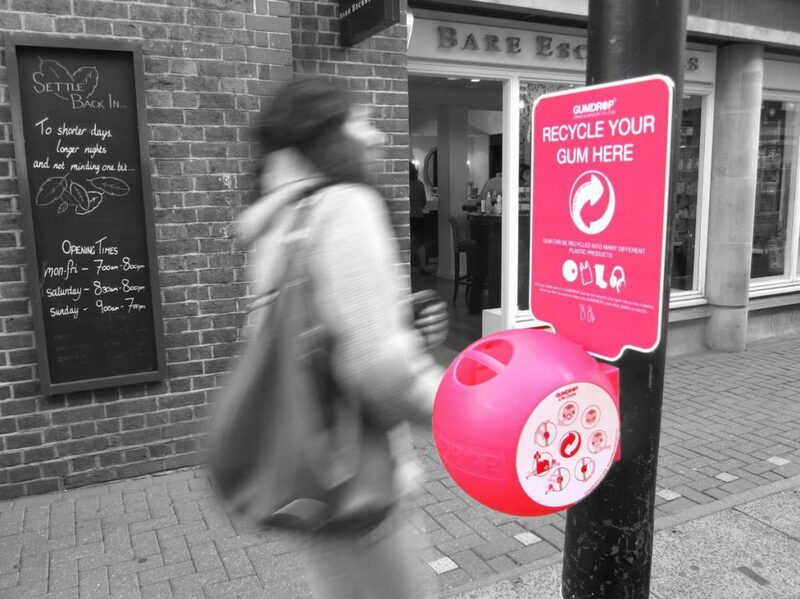 Gumdrop has already installedseveral specially designed waste bins (these are also made from Gum-tec) aturban hotspots across London and Amsterdam. The bins can hold up to 500 pieces of gum. She adds there are many possibilities. For example, students at the University of Leeds in the UK ordered bicycle spokes, rulers and key chains with the gum collected on campus. The next collection drive will be used to create a limited edition of gum sunglasses.